The Seydel Fanfare-S is an improvement to the standard Seydel Fanfare as it has stainless steel reeds. 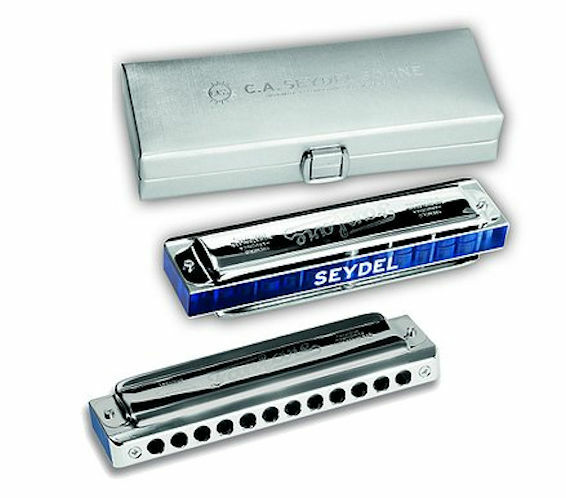 The stainless steel reeds gives the harmonica a brighter tone and will stay in tune longer. 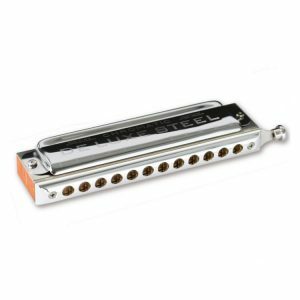 This tremolo can be played very softly with minimal breath, and it feels similar to a chromatic harmonica. 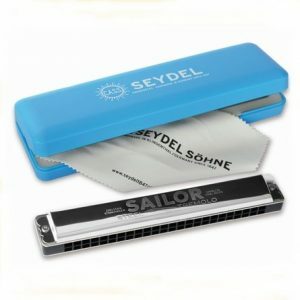 The Seydel Fanfare-S tremolo harmonica has a precision made acrylic blue comb which is very airtight and durable. The mouthpiece made of stainless steel and has round holes which makes it easier to play, the cover plates are stainless steel. 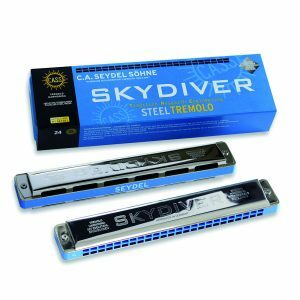 This tremolo harmonica is solo tuned with three full octaves, a rich sound and easy response. 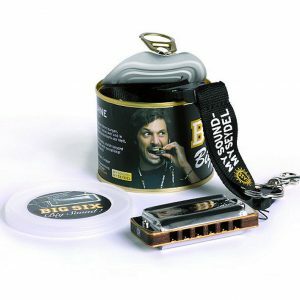 The valves are optimised for the tremolo sound and gives the harmonica minimum air loss. The Seydel Fanfare S tremolo is ideal for players of traditional musical styles, Irish Folk, Cajun etc, available in keys C, A, D and G.
The Seydel Megaphone (available separately) can be attached to the Fanfare S to improve the volume and allows for special effects, dampening, hand vibroat, wah-wah etc.